I grew up just outside Vancouver, British Columbia. I now live right in the heart of Edmonton, Alberta, just a few blocks away from the newly-constructed Rogers Place. I've never called Tampa, Florida home. I have no family connections in Tampa, or the southern United States for that matter. So, it comes as little surprise that I've been asked the whole "How did you become a Lightning fan?" question a million times. I wrote about that in an early blog here at The Lightning Lounge. According to Google maps, the distance between my condo and Amalie Arena is in excess of 4,000 kilometers. It would take approximately 42 hours to make that trek in a car, and it's basically a full-day journey by plane given that there's almost always a connecting flight involved. 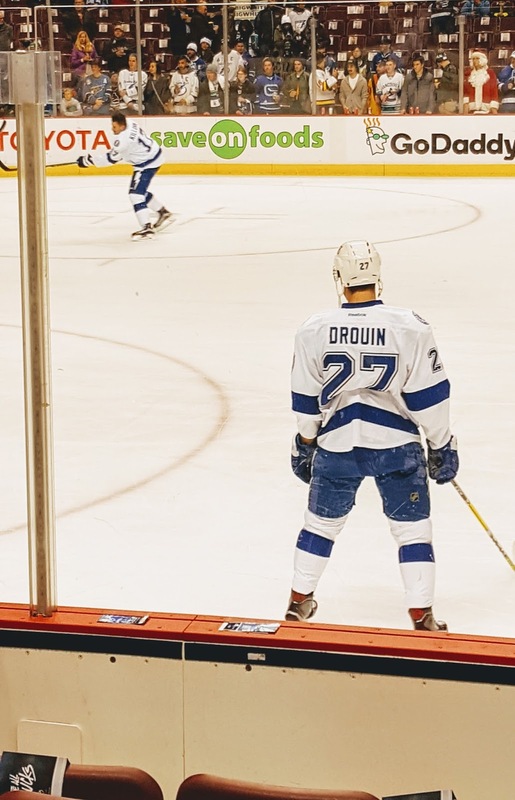 The tremendous distance between my place of abode and the team I cheer for every night is what makes the Lightning's now-annual swing through Western Canada so special. Getting down to Amalie Arena obviously isn't the easiest thing in the world for me, but walking two blocks to Rogers Place is quite literally a walk in the park(ing lot). 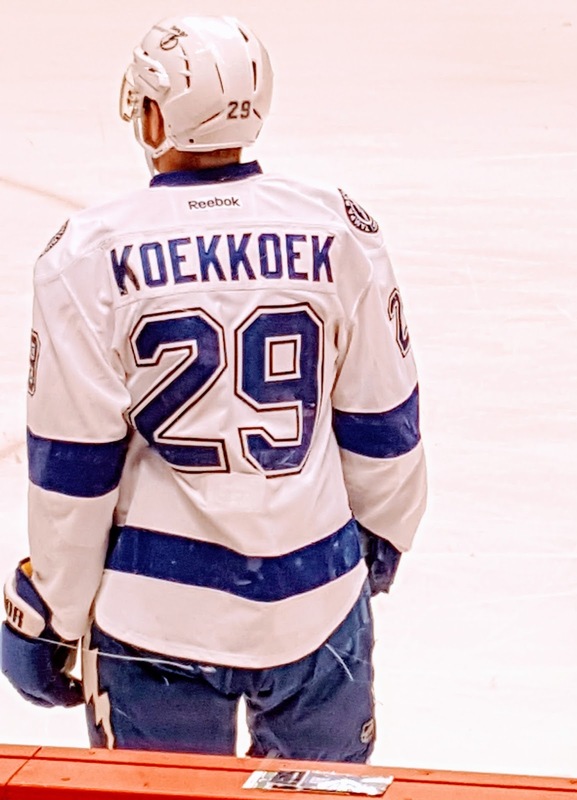 This year was extra special, as for the first time since the 2013-14 season I was able to see two Lightning games in the same season. 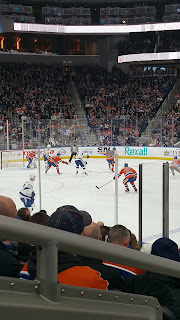 My trip took me back home to Vancouver, where I saw the team drop a 4-2 decision to the Canucks, and then right back here to Edmonton where I saw them drop a 3-2 shootout decision to Connor McDavid's Oilers. While the results obviously weren't particularly positive for the team, the experience of being in the arena and seeing the guys I typically root for from behind a 37" aging Sharp television was a truly wonderful thing. 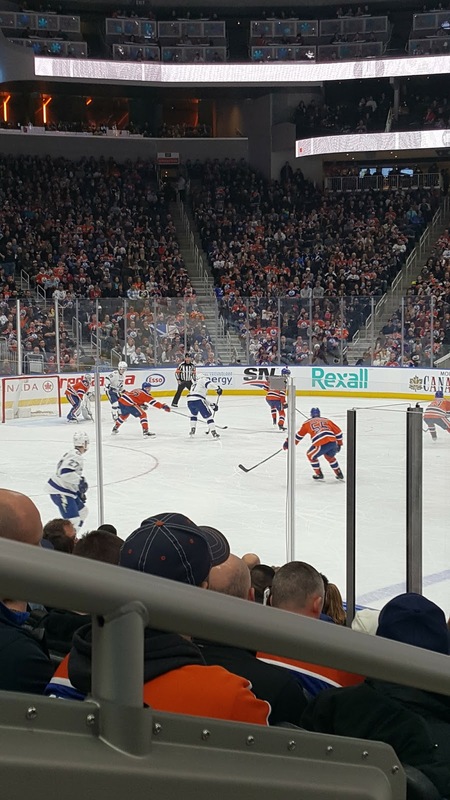 Typically thousands of miles away from me and only visible on a TV screen, there they all were, just a few feet away from my perch in Row 6 at Rogers Arena and Row 9 at Rogers Place. My journey began at 4:00am on Friday, December 16. 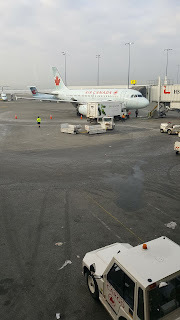 The morning alarm rang, and before I knew it I was on my way to Edmonton International Airport to catch a flight to Vancouver. 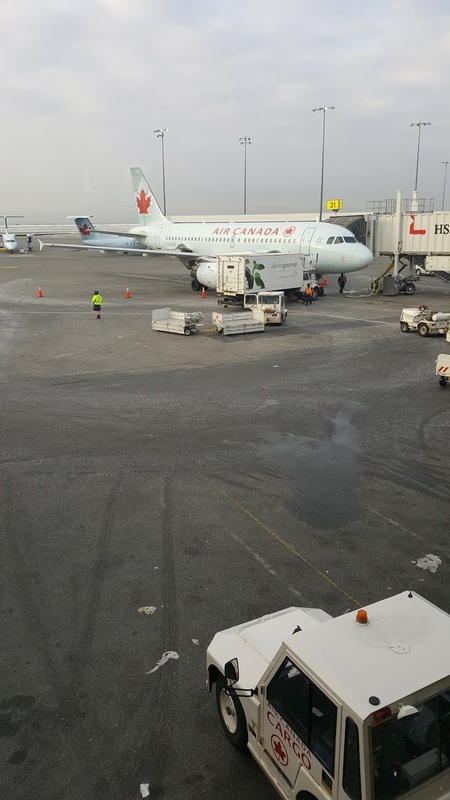 Landing in Vancouver is always nice, as I often find myself missing the ocean and mountains while in Edmonton. This time it was even better, as I knew the Lightning were in town and I was going to be there. Ohlund, of course, spent the latter part of his playing career with the Lightning. Having grown up in Vancouver and being a Tampa fan, I got to watch most of the minutes Ohlund played during his time in the NHL. Being there as he was honoured for all he accomplished was really a treat. 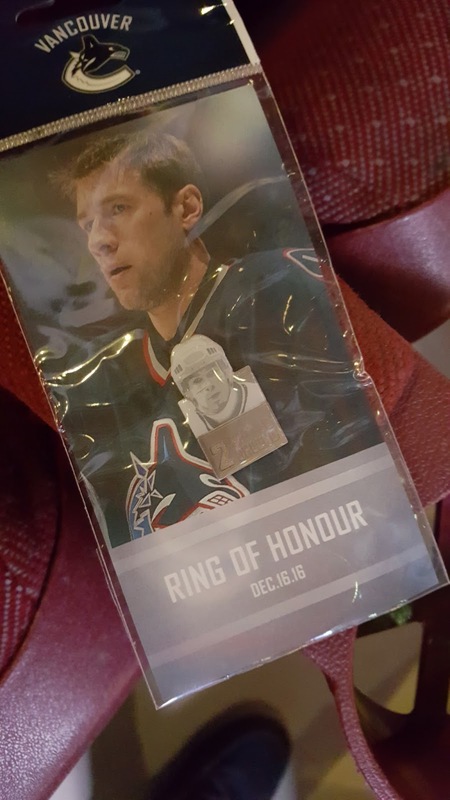 While the result in Vancouver wasn't great, being in the building was. Vancouver fans were gracious and courteous, even as I cheered my heart out for the road team. I met a number of Lightning fans, who were always quick to ask for a high-five or fist-bump. Funnily enough, two Lightning fans from Tampa who had asked me to take a photo of them at the game in Vancouver ended up right behind me in the airport security line and sitting in the row in front of me on the flight to Edmonton. Small world, eh? After a quick flight over the Rocky Mountains and a nice afternoon in Edmonton, it was time to head to the arena once again. And, Rogers Place is... amazing. What a facility. If you ever have a chance to get up to Edmonton to catch a game while the arena is still sparkly and new, do it. Seeing my team in a building like that... what could be better? Not even the -30° weather could spoil it. 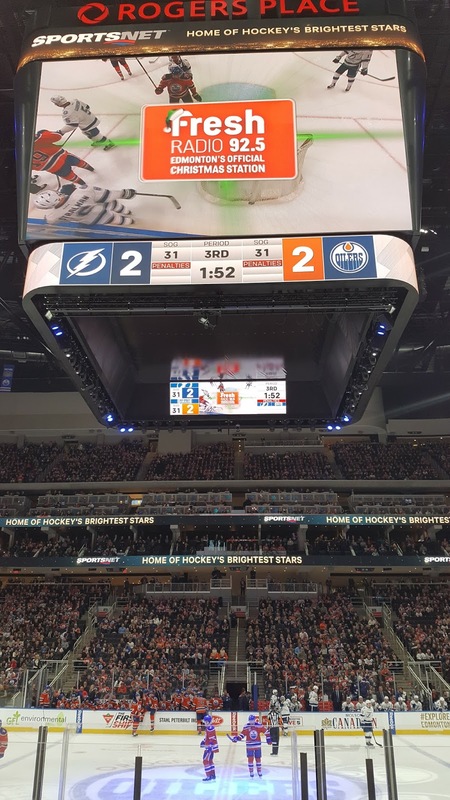 The game-deciding shootout ended with an "L" going up in the standings for the Lightning, but being there was still a lot of fun. The lack of sleep over those two days and time spent waiting for flights was absolutely worth it. I got to see a game in Vancouver with a good friend of mine from school, and then I got to see a game in Edmonton with the significant other (she's a Flames fan... and I never let her forget about '04!). 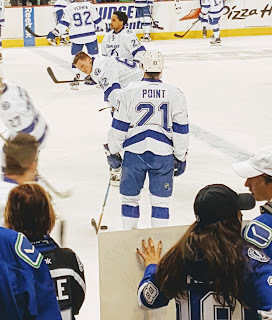 In short, it's not every day that I get to be in attendance at a Tampa game, so when I'm there I try to make the most of it. I had the jersey on. I had the hat on. I was cheering. I ate too much pizza and popcorn. It was just an all-around great experience. Here's hoping that the scheduling works out such that I can do it all again next year.